Why wait? Make change NOW! Use these Six Super Strategies to reach your goals FAST. 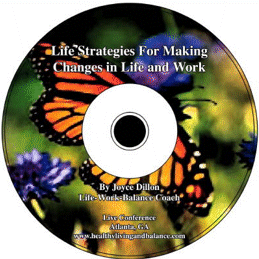 Here’s how: just order your 50-minute CD, and you’ll get helpful lecture handouts and coaching exercises, too. Got goals? Then get started today! Only $15.95!